Ritex Industries laid its cornerstone as a leather manufacturing and export unit in the year 1990. 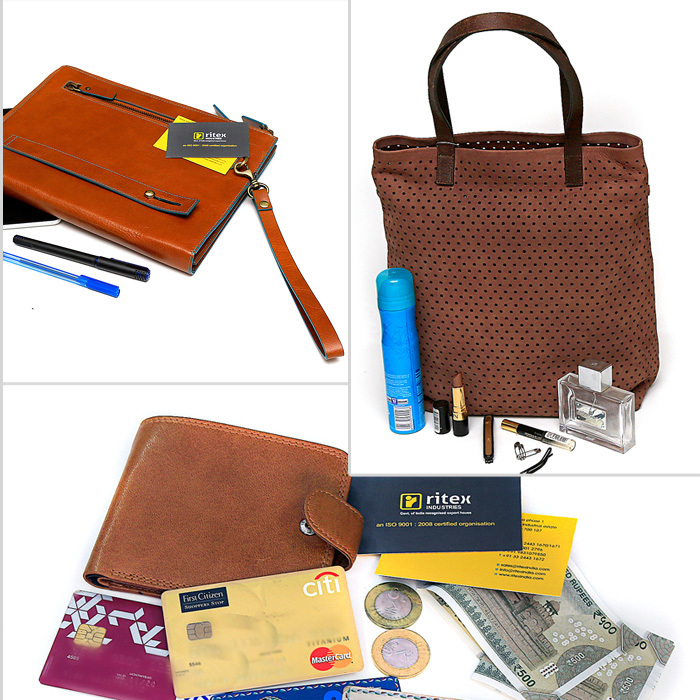 Operating out of Kolkata, India, Ritex has carved a niche market for itself in an array of categories like Handbags, Folders, Briefcases, Messengers, Weekenders, Agendas and other small leather goods. Conceived as a company dedicated to bringing about an aesthetic amalgamation of traditional leather designs and contemporary innovations, Ritex has since its inception delivered avant-garde products to suit a variety of customer expectations. The company takes pride in not just its personal designs but its ability to customize and hence all products on offer can be adapted to a variety of colors and sizes subject to a minimum order. Ritex Industries holds accountability to the society at large in as high regard as achievement of perfection as a business unit. Thus it ensures not just the economic empowerment of its sizeable workforce but ascertains the provision of a safe and healthy work environment, ethical employment structure and abstention from the use of child and forced labour. Protection of the environment also ranks very high in its list of social responsibilities. 'An ISO-9001-2008 Certified Organisation, and have recently being audited for Sedex Compliance.'. Ritex Industries is a Leather Products manufacturing and Export firm based in Kolkata, India since 1990. Wholly exporting Leather Goods of Accessories with 100% of productions are exported to global customers. With focus on stringent quality & customer satisfaction Ritex is a recognized name in the global arena exporting to The U.K, Japan, Hong Kong, Germany and Italy and customers in other countries. With its products being well accepted across the globe, Ritex has gained a strong foothold in these markets. The company offers all products in customized colour and designs subject to a minimum order , to ensure minimum tanning requirements per colour enabling colour perfection.